Tap Room at Dubsdread: Irene and Anthony - A Chair Affair, Inc. In April of 2013, Irene and Anthony were married at the Leu Gardens, with a reception at the Tap Room at Dubsdread. Irene and Anthony were just a fun couple, and the theme of the wedding was relaxed and casual, mixed with their love of travel and adventure. Their wedding day was captured perfectly by Kristen Weaver Photography. 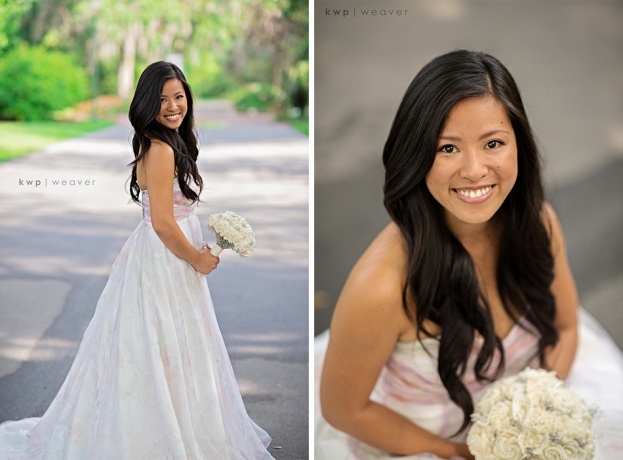 We loved Irene’s gown from David’s Bridal! The pink tint and watercolor floral was so unique, as were her pastel pink Badgley Mischka flats. 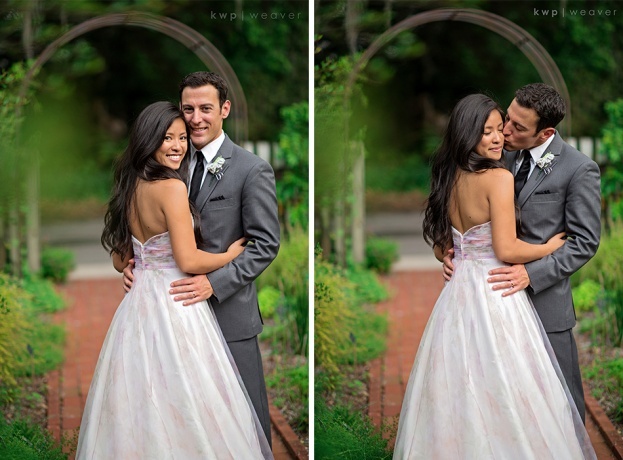 Her natural makeup and wavy hair was done by LeJeune Artistry. One of our favorite touches from this wedding were the white, hand-carved wood bouquets. 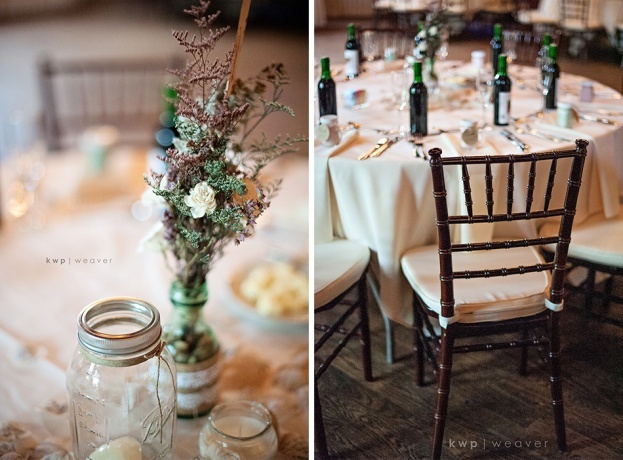 For the reception, we provided our wooden Chiavari chairs and wedding rentals. The guests had so much fun with the Funny Faces Photobooth, especially with their props! Instead of a traditional wedding cake, the couple decided to have cupcakes from Sweet! By Good Golly Miss Holly. 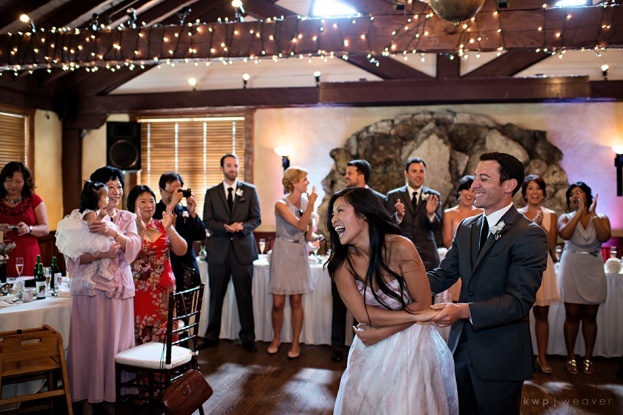 Once Just Dance Entertainment got the party started, the newlyweds never left the dance floor! 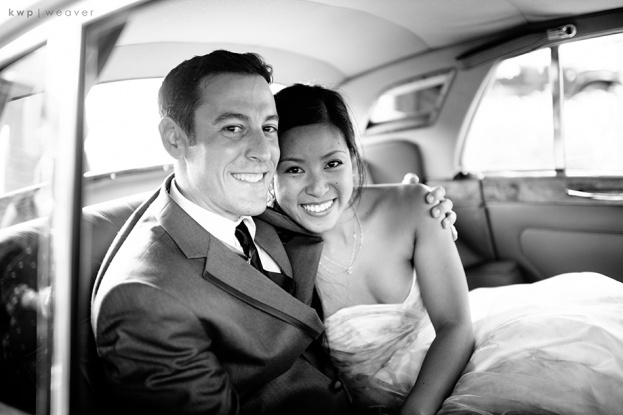 Irene and Anthony, we loved working with you and making your wedding such a wonderful day! We wish you years of happiness to come!